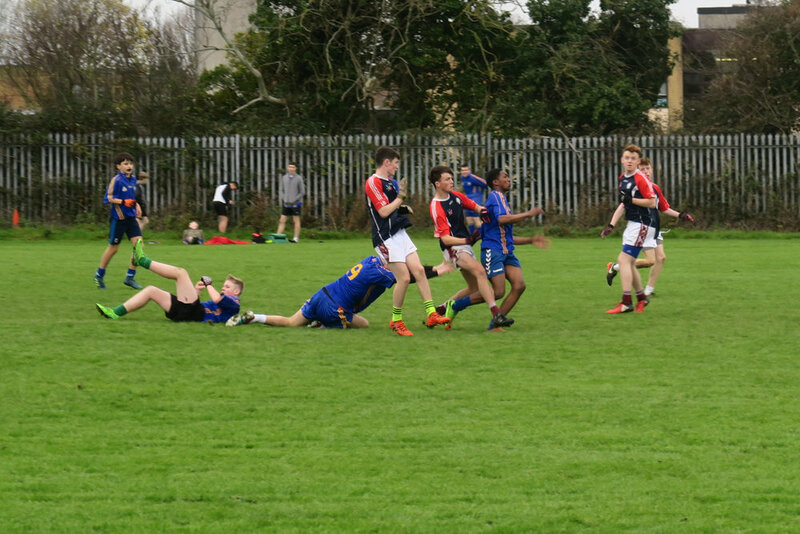 The boys u16 football team bounced back well, after a first round defeat, to beat Drimnagh Castle comprehensively. Playing into a strong breeze in the first half, Colaiste Chiarain settled into an early lead, a lead which they never relinquished, with some fine scores from Dara Mooney and Conor Murnaghan. Colaiste Chiarain led by score 3-5 to 2-4 at halftime. The second half started the same as the first, with an excellent team score, finished by Darragh Melville. Colaiste Chiarain ran out easy winners on a scoreline of 6-12 to 3-5, with a good spread of scores throughout the team. It was a very good team performance, with Rory Noonan giving a solid display at full back and Harry Farrell, (the youngest on the team), being very assured at wing back. Team captain Ben Travers played well throughout at midfield and Darragh Melville was excellent at corner forward, showing superbly from start to finish, taking and assisting in a number of scores. A special mention has to go to Michael Ball who debuted in goal, and gave a good performance, especially on kick outs. The final game vs Old Bawn, which is on next Tuesday 28th in Thomas Davies astro pitch at 13:45, will provide a much greater challenge. The winners will go through to the quarter final with MacDara's (having already beaten Colaiste Chiarain and Old Bawn). If Colaiste Chiarain can maintain the good standard of score taking from the previous day and tighten up on defending well, as a team, they will go a long way to qualifying for the quarter final. Best of luck to the team next week. Newer PostLadies football secure a win over Clane.